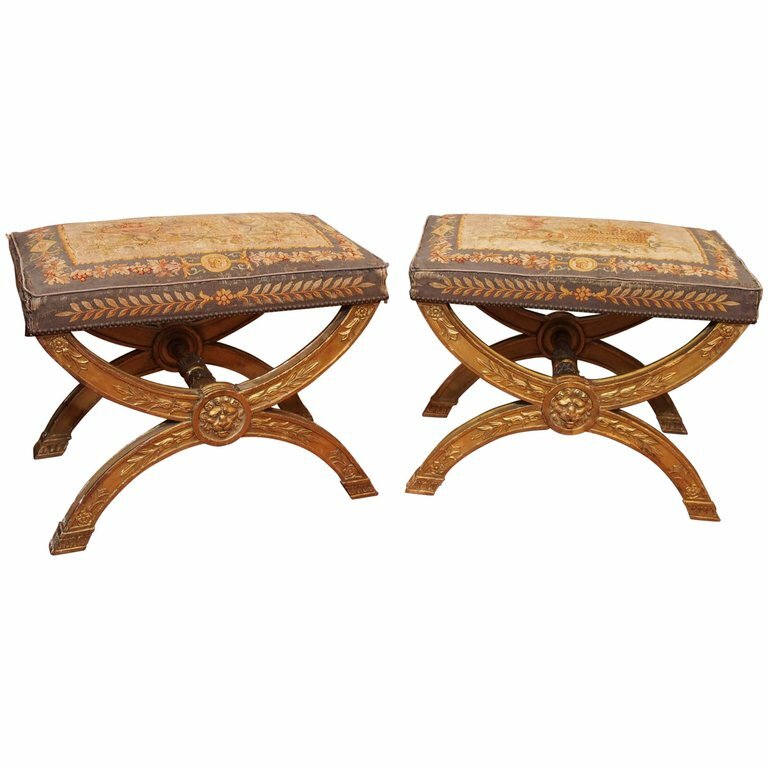 Pair of Classical Curole stools in gilt wood with foliate decoration and lion masks. Classical inspired Aubusson coverings in usable condition but not perfect. The gilt bases have been touched up through their life. They are Signed TARDIF Paris on bottom frame.